PROMATE 3.4A Multi-Connect Coiled Cable Universal Car Charger. USB-C PROMATE 3.4A Multi-Connect Coiled Cable Universal Car Charger. USB-C Connector, Micro-USB Connector, Lightning Connector Plus Built-in USB-A Port. Safe Voltage Regulation. Colour Black. PROMATE 3.4A Dual Car Charger with USB-A Port & USB-C Charging Cable PROMATE 3.4A Dual Car Charger with USB-A Port & USB-C Charging Cable with USB-C Connector. Charge 2 Devices Simultaneously. Safe Voltage Regulation. Protection Against Over Heating. Colour Black. PROMATE Heavy Duty Dual USB & USB-C Qualcomm QC 3.0 Car Charger. USB-C PROMATE Heavy Duty Dual USB & USB-C Qualcomm QC 3.0 Car Charger. USB-C Charging cable with USB-C Connector. Ensures Protection from Over Heating and Over-Current. Colour Black. PROMATE 1.2m MFi Certified 2.1A Car Charger with Lightning Connector. 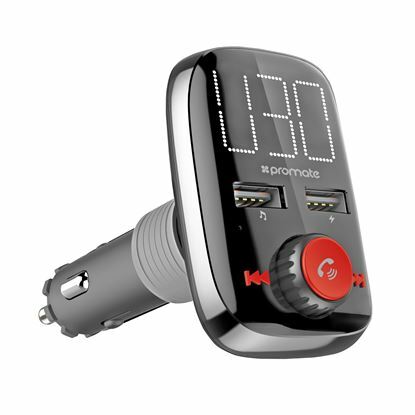 PROMATE 1.2m MFi Certified 2.1A Car Charger with Lightning Connector. Made for iPhone, iPad, & iPod. Ensures Protection from Over Heating and Over-Current. Colour Black. 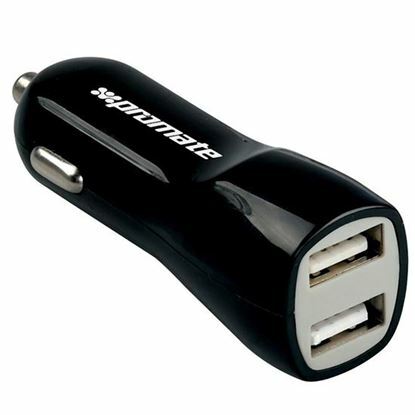 PROMATE 3100mA Dual Port USB Car Charger. 3.1A Total Output. PROMATE 3100mA Dual Port USB Car Charger. 3.1A Total Output. Short-Circuit & Over-Charge Protection. Black Colour. PROMATE 3100mA Dual Port USB Car Charger. 3.1A Total Output. 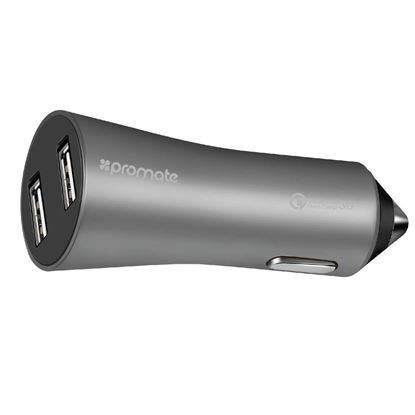 PROMATE 3100mA Dual Port USB Car Charger. 3.1A Total Output. Short-Circuit & Over-Charge Protection. White Colour. PROMATE 30W Car Charger with Dual USB Ports. 1x Qualcomm Quick Charge PROMATE 30W Car Charger with Dual USB Ports. 1x Qualcomm Quick Charge QC 3.0 Port, 1x 2.4A USB-A Port. Safe Voltage Regulation. Protection Against Over Heating. Colour Black. PROMATE 35W Car Charger with 3 USB Ports. Charge 3 Devices PROMATE 35W Car Charger with 3 USB Ports. Charge 3 Devices Simultaneously. 1x Qualcomm QC 3.0 Port, 2x USB-A Ports. Safe Voltage Regulation. Protection Against Over Heating. Colour Black. PROMATE 48W Car Charger with 9.6A Super-Speed Output. 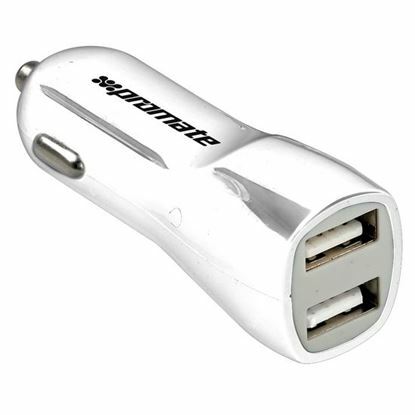 4 Dedicated PROMATE 48W Car Charger with 9.6A Super-Speed Output. 4 Dedicated 2.4A USD-A Ports. Charge 4 Devices at the Same Time. Safe Voltage Regulation. Protection Against Over Heating. Colour Black. 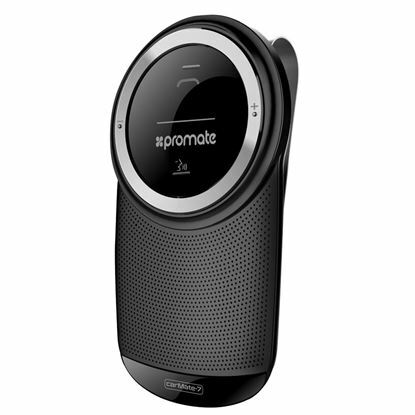 PROMATE Anti-Slip Magnetic AC Vent Smartphone Mount. 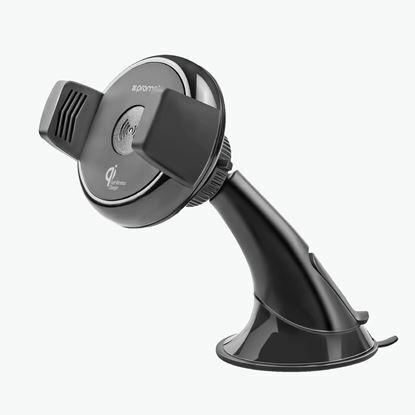 PROMATE Anti-Slip Magnetic AC Vent Smartphone Mount. Colour Maroon. 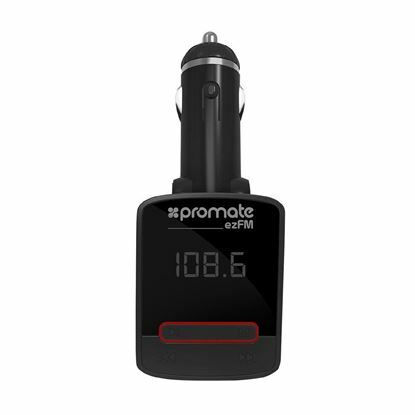 PROMATE Car FM Modulator with USB Charging Port. Playback from USB, PROMATE Car FM Modulator with USB Charging Port. Playback from USB, MicroSD & AUX in. Colour Black. PROMATE Cradle free mini magnetic mount for smartphones & tablets PROMATE Cradle free mini magnetic mount for smartphones & tablets 360 degree rotatable. Secure anti-slip grip. PROMATE Universal Smartphone Grip Mount. Fits 5.3~8.3cm phones. PROMATE Universal Smartphone Grip Mount. Fits 5.3~8.3cm phones. Heat & Cold Resistant. Quick Release. Additional Dashboard Sticker. 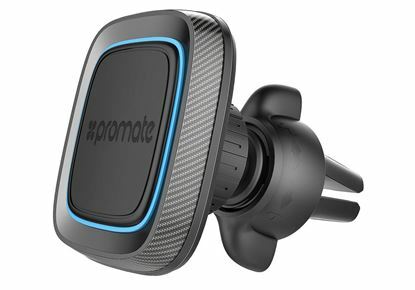 PROMATE Qi Wireless Car Charging Mount Kit with Bluetooth Headset. 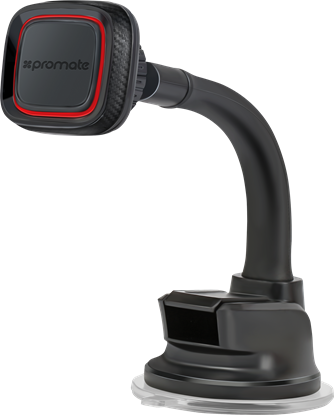 PROMATE Qi Wireless Car Charging Mount Kit with Bluetooth Headset. Clamps on to Any Smooth Surface or Secure to any AC Vent Blade. 360 Degree Swivel Head. Colour Black. 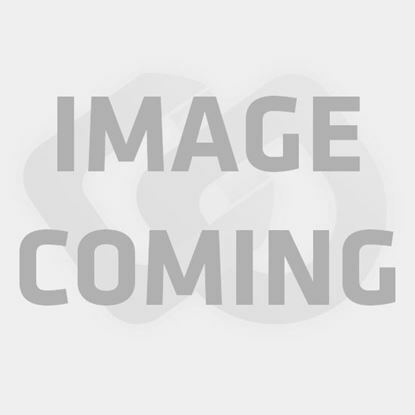 PROMATE Qi Ultra-Fast Wireless Car Charging Magnetic Mount. Clamps on PROMATE Qi Ultra-Fast Wireless Car Charging Magnetic Mount. Clamps on to Any Smooth Surface or Secure to any AC Vent Blade. 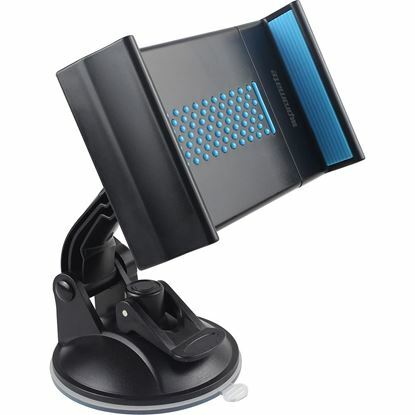 360 Degree Gooseneck Swivel Head. Colour Black. PROMATE Qi Ultra-Fast Wireless Car Charging Mount. Clamps on to Any PROMATE Qi Ultra-Fast Wireless Car Charging Mount. Clamps on to Any Smooth Surface or Secure to any AC Vent Blade. 360 Degree Gooseneck Swivel Head. Anti-Slip Design. Colour Black. PROMATE Portable Air Compressor with Built-in Tire Pressure Monitor PROMATE Portable Air Compressor with Built-in Tire Pressure Monitor 2000mAh built-in Power Bank, 260lm LED Light. Includes 3 Multi-Use attachments. Cordless Rechargeable Battery. PROMATE 12V Car Jump Starter Kit. Includes Electronic Air Compressor PROMATE 12V Car Jump Starter Kit. Includes Electronic Air Compressor 2500mAh built-in Power Bank, 260lm LED Light, Built-in Tire Pressure Monitoring System. Includes Multi- Purpose attachments.